For Men’s Health Month, I’m beyond stoked – and proud – to bring you the first male Works in Progress story! Truly a silent crisis, men face just as much stigma – if not more – when battling mental illness. More than four times as many men as women die by suicide in the U.S. and due to social norms, are less likely to seek help for their struggle. Men are taught that showing emotion is weakness. You are not less of a man for having a mental illness. 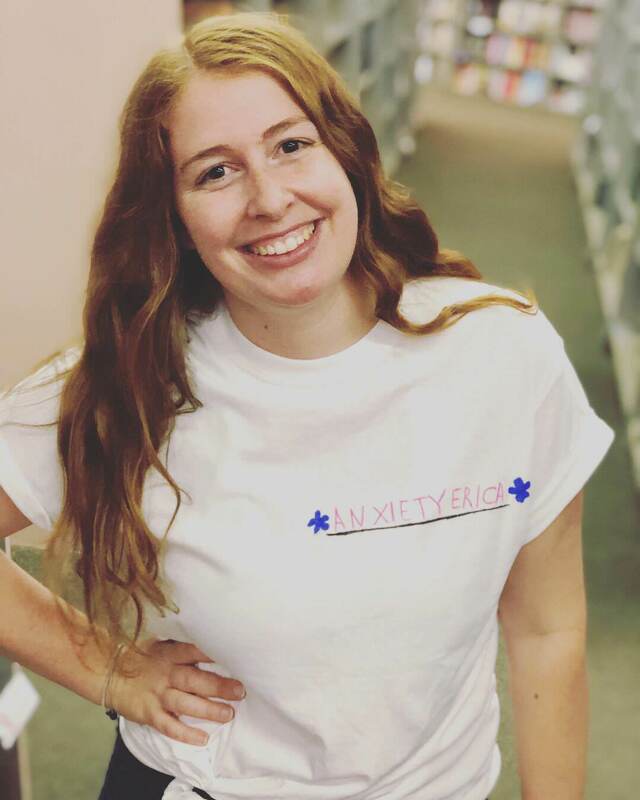 Fighting against the stigma surrounding mental health in males, Nay Clarke is on a mission to show each and every person just how unique and necessary they are. Healing thousands through the power of his words, Clarke takes to his Instagram as a form of therapy, expression, and empowerment. I was diagnosed with depression and bipolar tendencies, but I always knew there was more to it. I continued to seek help until recently being diagnosed with schizophrenia. It used to affect me day to day, meeting up with friends was always a problem because I could, and still can, easily change mood so I didn’t want it to affect them too. It then seeped into my work life, speaking to co-workers was difficult because I always thought they didn’t understand me at the time…a month passed and I finally left the workplace which is one of the best things I’ve ever done! I think the moment I decided to get help was not long after leaving my job. I would hear voices in the workplace that weren’t there. It was a horrible experience I’d face far too often. After trying to stay “strong” as a male figure should – as society says – I decided to go to my doctor and it was a terrible experience!! To anyone reading this, do NOT get put off if you are dismissed as “fine” at your doctor. I had to move surgeries and finally got referred to the right place – never stop pushing for the correct help. I face challenges daily, some days I don’t even want to leave my bed, let alone my room. I don’t like going to busy places where there are loads of different voices like restaurants or shopping centers because it sparks further voices in my head to start (draining I know). I still try to go now and again, as I don’t want my mental health issues to control my life. What helps me personally is expressing my thoughts on a daily basis. Once the thoughts are out and gone, I can move on – that’s why I post most of it on Instagram. It was just a huge bonus that a lot of people feel the same as me and we can all help each other. It’s benefited my life in many different ways. First off, I’d say it’s made me learn and understand more about my self, which I think everyone should do. I’ve spoken to many amazing people from social media who have helped me along this journey and I’d like to think I have helped them too. Knowing I play a part in ending the stigma around mental health issues is what puts a smile on my face. I will never ever get bored of hundreds of people messaging me saying thank you for being so open. What they don’t realize is that I should be the one thanking them because that’s what keeps me somewhat stable. I strongly believe “what’s meant to be will always be.” Cliché I know, but so, so true. To anyone that is reading this and facing issues of their own, I just want to say: you are strong! You are one-of-a-kind and most of all you are AMAZING! No matter how hard life seems at the moment…everything will fall into place.